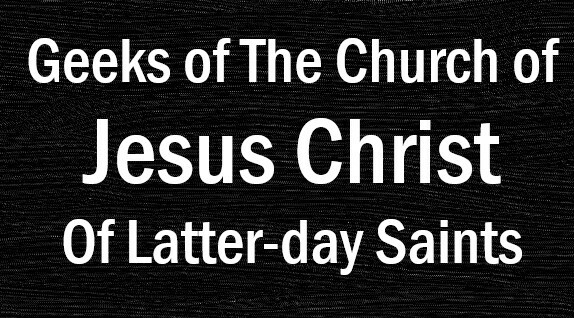 stuff in order to be a better follower of the Savior. Being a Geek and being Mormon is not always easy. We as geeks love the really thought provoking stuff. I love comic books that twist your mind with its intriguing plot, symbols, and story elements. I love hearing about new ideas and stepping into new and crazy worlds. The problem with many of these works (whether it be film, comics, video games, or television) is that they can be offensive to the spirit. I'm not going to tell you how to set your standards on this blog or what you shouldn't be reading/watching/playing. That's between you and the spirit. But I will share my experience in trying to follow the spirit in my choice of what geeky entertainment I participate in. A year or two ago I was reading a very clever comic. It was a story about how an epidemic spread through the entire world and killed off every living creature with the Y chromosome with the exception of one man and his pet monkey. The story of this man and his journey to save the human race was grade A brilliant. Everything about the story would be a critics dream come true. The characters were interesting and complicated. The plot was very intriguing and the dystopian future created made you think (in a really good way) about the aspects of gender. When there's so many comics out there that are filled with fluff and not all that original. This gem was original and expanded imaginative thought. But I stopped reading this intelligent comic book series. Why? Because it was pretty vile stuff. There seemed to be hard swear words in every other speech bubble. If that wasn't enough, there was certainly a lot of explicit sexuality. I felt uncomfortable reading the comic and didn't feel the spirit like I used to. I made my decision to stop reading the book. I was sad because I respected the author for his deep creativity and wished he would have been more sensitive to the standards of the spirit in his storytelling. Despite my sadness at having to let go of some sharp writing, I was glad I made the decision wanting to be closer to my Heavenly Father. Then something really cool happened. 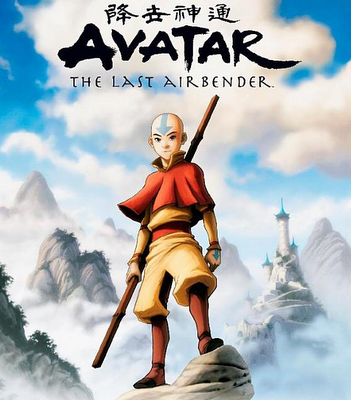 My roommate introduced me to a show he really enjoyed called Avatar: The Last Airbender. We started getting other young single adults to join us for Avatar nights and I quickly became a fan of the show. I soon completely forgot about the intelligent sci fi comic book I once had and was immersed in this imaginative and authentic fantasy cartoon. Avatar had complex characters, fluid animation, great action, and a very heartfelt story. The best part was, I could feel the spirit when I watched the show and didn't feel guilty for watching it. I learned that you can have your cake and eat it too. There are brilliant works of entertainment out there. The challenge of being a Geek is you have to have your standards of good storytelling and also your standards of the gospel. A lot of times you can find a great story but told with explicit immorality. Then you try digging through mainstream wholesome stuff but only find over-idealized stories with two dimensional characters, predictable plots, and dialogue that makes you want to vomit. I also think this means that we should support more members of the church going into creative fields. Too often we give Art majors, Theater majors, Film majors, and Animation majors a hard time for going into such a competitive and worldly field. Really, we should support these people for wanting to be a positive change for culture and being brave enough to face the challenges that brings. 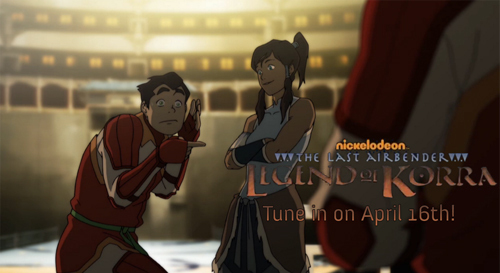 I know I for one, would love to see more stuff like Avatar: The Last Airbender out there. Wouldn't you? In conclusion, being a geek and being Mormon are two worlds that can harmoniously coexist. The challenge of keeping your standards can be difficult but not impossible when you trust your Heavenly Father and show support for stuff that is good. It's not just Geeks. ANY media ( books, movies, games, ) in ANY genre still have these problems. Smart storytelling doesn't have to devolve to base human desires. Meaningful song lyrics don't have to be about rave parties and strange one-night stands. Good artwork doesn't need to solely depict impossible human dimensions in comic books. Authentic movie dialog doesn't have to include coarse profanity every other word. Interesting thing is, the people who take the time with their creativity and make something that doesn't pander to the common media standards are usually the ones putting more effort into it. I agree. Just look at the amazing films made during the Hays laws, when it was flat out illegal to show a marred couple in the same bed! That brought us Arsenic and Old Lace, Citizen Kane, The Wizard of Oz, Abbot and Costello, the Three Stooges, and all without profanity or anyone getting naked! From what I understand, most people don't even like that kind of stuff. The most common thing I hear isn't that it doesn't matter; the most common thing I hear is 'It's not possible' or 'That's just the way things are' or sometimes, if they concede those two points, 'It's just not worth it'. I think if enough people just got to thinking about it, and what they assume is possible, then we'll have a lot more cool, clean stuff.